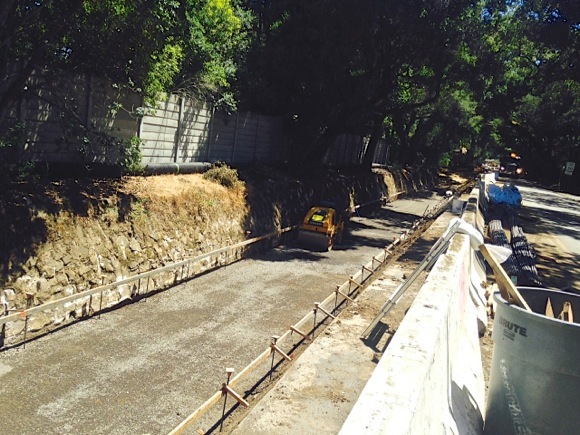 Work on the construction of a new channel along Marsh Road in Atherton continues. Resident Beverly Brown sent us some photos showing the preparation of the creek bed for anew foundation as well as arebar being installed for the concrete bottom of the new channel/creek feed. The work is slated to be completed in mid-August. Marsh Road from Middlefield to Fair Oaks remains closed until then.